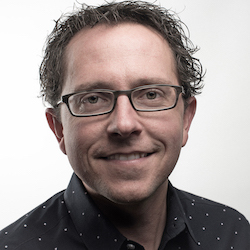 Dave Raley serves as Executive Vice President of Strategy and Innovation at Masterworks, the nation’s leading marketing agency serving Christian ministries. He is a regular speaker at industry conferences and contributing author for publications. Dave spent more than a decade building and leading the digital team at Masterworks, and pioneered a summit of top digital leaders in the industry. Today, Dave spends his time figuring out the future of marketing and fundraising for Christian ministries. Dave has worked with more than 50 regional, national and international non-profits since 2003. He is connected with a number of community initiatives locally. Globally, he is involved with the Lausanne Movement as a member of the Communications Working Group. Dave holds a double-degree from Azusa Pacific University in Marketing and Web & Information Technology. Dave and his wife Heather reside in Poulsbo, Washington, with their two daughters. They are active members of Newlife church in Poulsbo, volunteering and serving as elders. His passion is to inspire generosity in all aspects of life and work.